If you read our hands on review of the Android Sony Smartwatch last month, you probably already know that as cool as the idea was, it simply didn’t execute well enough to be taken seriously. That naturally was just our humble opinion after spending some time with the watch, and if you decide you would like to purchase one to try it out for yourself, you’ll be happy to know that you can now purchase the watch at Verizon. If you do decide to purchase the watch, remember that you will need a phone device running Android 2.1 and higher, and even if you meet that criteria, only specific devices are supported. Verizon says that 45 devices are compatible with the watch IF you purchase the device directly through them, so be sure to check with them to see if your phone or tablet will play nice with the watch before buying it. 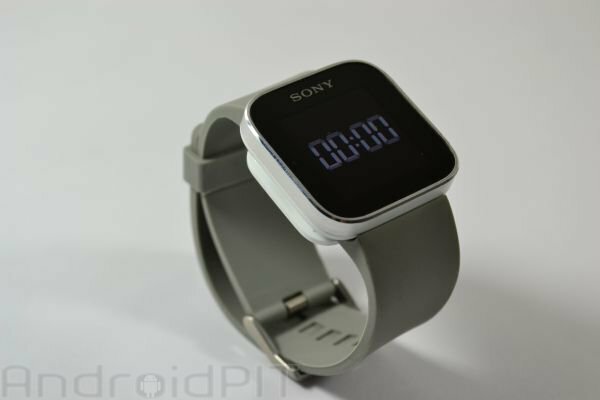 Sony stated that the watch is compatible with many devices that Verizon didn’t mention, so be sure to do your homework before investing your hard earned bank on this new Android accessory. Speaking of bank, the Sony smartwatch will cost you $149.97 through Verizon, and can either be purchased here, or by going directly to your local Verizon shop. Call Handling (call, mute, reject, or answer and send pre-defined SMS), Pre-defined SMS (like missed calls – I’m busy, messaging - call me, email – ok), Battery Strength, Find Phone, and Weather. Additional titles can be downloaded from the Play Store. In regards to functionality, Verizon stated that “With just a tap, touch, and swipe, SmartWatch turns from a watch displaying the time to a multi-touch remote information center for your Android smartphone". Vibration and screen alerts notify you of key events, such as incoming calls and appointments. It also lets you read information such as your Gmail, text messages, Facebook™ and Twitter™ updates, and the weather forecast - all from your wrist". If you happen to pick up the watch, tell us about your experience with it in the comments below!